As we move towards another Bank Holiday Weekend, there is no shortage of phenomenal fundraising efforts from those in our industry. 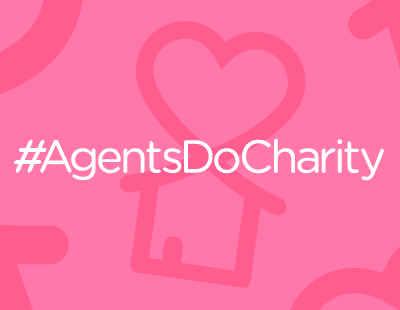 If you've been acting in the name of charity and would like to publicise what you're up to, we'd love to hear all about it. You can get in touch with us on press@estateagenttoday.co.uk and we'll do the rest. Agents Giving: A number of teams from the property industry representing Agents Giving travelled to Essex last Sunday to smash this year's Love Mud Challenge, powered by Nuclear Races. A selection of wonderful agents and suppliers stepped out in the sun and - in no particular order - got sweaty, wet, muddy and sunburnt with many lost trainers to boot. The teams went head-to-head in a race to complete up to 50+ obstacles on the 7km course in a secret bunker estate in Brentwood. The muddy stars included representatives from Reapit, JP Gardner & Associates, Northfields, Thomas Morris and Paramount. Special mention goes to Anthony Jones, George Harris, Lee Dahill and Toby Carter (pictured below) representing Angels Media (the publisher of Estate Agent Today) and The ValPal Network. Our boys came in first place as the fastest Agents Giving team, followed by Absolute Problems and JP Gardner & Associates. 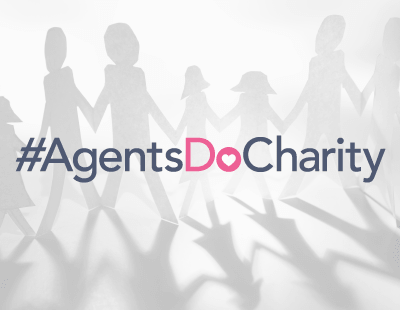 Agents Giving says the fundraising total for the event so far stands at £10,000 with plenty more to come. A superb effort by all. The Love Mud Challenge will be back next year. The Fine & Country Foundation: Emma Preston, regional manager for GPEA, and Clint Nykamp of Fine & Country Solihull have continued on their remarkable 12 marathons challenge, taking on the Exeter showpiece. The agents are running 12 marathons on behalf of The Fine & Country Foundation, which provides funding and support for homeless causes in the UK and overseas. You can find out more about Emma and Clint's challenge here. Staying with the Fine & Country Foundation, it has just donated £3,065 to Emmaus Suffolk, a centre which helps vulnerable and homeless people in Ipswich. The money will be used to purchase white goods for the centre's refurbishment of the shower room and laundrette. What's more, a team of trekkers from Fine & Country have flown across the world to hike from the capital of Nepal, Katmandu, to rebuild a remote hillside village which was flattened by a devastating earthquake. Each trekker is raising £1,800 to fund the supplies to build an entire house for a family. Over the past few months, the trekkers have seen videos and photos of the family they are fundraising for to learn about their background, experiences during the earthquake and life now. Of the 86 houses that were flattened in the village, more than 50 houses have been funded by Fine & Country and its partner charity, Campbells Foundation in Nepal. Homeless Charities: Hybrid agency Emoov is working with Raffle House to give prospective property buyers the chance to win a one-bed flat in Brixton for just £5. The raffle is raising money for homeless charities and the winner will own the £650,000 property mortgage-free with stamp duty covered. Raffle House is an initiative set up by Benno Spencer, with the aim of helping people get on the property ladder while raising money for homeless charities in the process and for every ticket sold, 5% will be allocated to a homeless charity of the buyer's choice. Entrants have to answer a question but can choose to purchase as many £5 tickets as they want. The winner will be chosen at random on June 14, with three runners up receiving £1,000 in cash. Fragile X Society: George Clover of Devon agency Helmores is training for the Devon X Challenge - a fundraising event he has created with two friends. On June 14, the trio will embark on an epic 300-mile trek which takes in two moors, two coasts, cycling and more than 16,000 feet of climbing. The gargantuan task, which should take around 48 hours, is being completed in aid of the Fragile X Society, the only charity dedicated to people living with Fragile X Syndrome, the most common known inherited cause of learning disabilities. You can sponsor George and his friends here. Crisis: A team from JLL Residential in Kensington have completed a Tough Mudder challenge, raising money for homeless charity Crisis. A team of ten took on the gruelling course - which included obstacles named 'Ladder to Hell' and 'Everest 2.0' - raising almost £2,000 in the process. "Following months of practice, I am proud that the JLL team in Kensington completed the course, raising a substantial amount for our charity partner, Crisis,” says Lucy Morton, JLL's head of residential agency. "Tough Mudder is a gruelling challenge both physically and mentally, which is not for the faint-hearted."